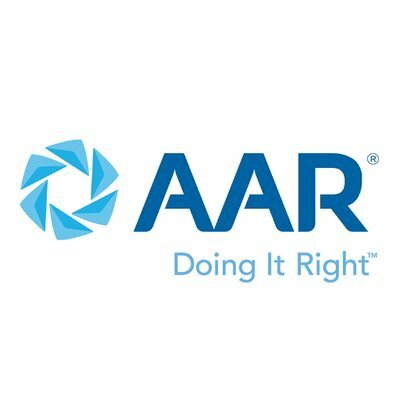 AAR Corp. (NYSE: AIR) stock fell over 6.3% on 20th March, 2019 (As of 10:01 am GMT-4; Source: Google finance) after the company posted mixed results for the third quarter of FY 19. Gross margin fell over 16.1% versus 17% in the prior-year period, primarily due to the aforementioned labor shortages, as well as the mix in expeditionary services. SG&A expenses were 10.3% of sales during the quarter, compared to 11.7% last year reflecting the improved leverage of the cost structure to support the double-digit sales growth. The strong cash flow generation reduced net debt $45 million during the quarter to a $150 million, resulting in net leverage of 0.92 times. Meanwhile, the labor market across the U.S. is extremely tight and the more labor-intensive activities have struggled to find enough qualified labor to meet the demand from customers. The company have been impacted by these labor shortages in MRO during the last several quarters, and while the company saw sequential improvement in MRO in Q3, it was not at the level that the company had anticipated. Subsequent to the quarter, the company had announced a new international site in Costa Rica within the WASS program. This program continues to perform very well. The company has also announced another contract award for the production of cargo pallets for the U.S. Air Force, which will be fulfilled by AAR mobility systems. Also, subsequent to the end of the quarter, the company entered into a definitive agreement to sell certain contracts and assets of the COCO business. The sale is subject to certain regulatory approvals, and the company expect it to close before the end of calendar 2019. AIR in the third quarter of FY 19 has reported the adjusted earnings per share of 78 cents, beating the analysts’ estimates for the adjusted earnings per share of 70 cents. The company had reported the adjusted revenue growth of 16 percent to $529.5 million in the third quarter of FY 19, missing the analysts’ estimates for revenue of $539.47 million. For FY 19, AIR expect sales in the range of $2.01 billion to $2.03 billion, adjusted EBITDA in the range of $165 million to $170 million and adjusted diluted earnings per share from continuing operations inclusive of the income tax benefit of $0.19 in the range of $2.50 to $2.57. At the midpoint of these ranges, the updated guidance reflects annual revenue growth of 15.5%, adjusted EBITDA growth of 14.5% and adjusted EPS growth of almost 42%.